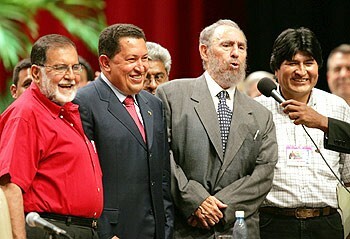 On October 20, 2012, less than two weeks after being reelected to his fourth term as Venezuelan president and only months before his death, Hugo Chávez delivered his crucial El Golpe de Timón (“Strike at the Helm”) speech to the first meeting of his ministers in the new revolutionary cycle.1 Chávez surprised even some of his strongest supporters by his insistence on the need for changes at the top in order to promote an immediate leap forward in the creation of what is referred to as “the communal state.” This was to accelerate the shift of power to the population that had begun with the formation of the communal councils (groupings of families involved in self-governance projects—in densely populated urban areas, 200–400 families; in rural areas, 50–100 families). The main aim in the new revolutionary cycle, he insisted, was to speed up the registration of communes, the key structure of the communal state. In the communes, residents in geographical areas smaller than a city unite in a number of community councils with the object of self-governance through a communal parliament, constructed on participatory principles. The communes are political-economic-cultural structures engaged in such areas as food production, food security, housing, communications, culture, communal exchange, community banking, and justice systems. All of this had been legally constituted by the passage of the Organic Laws of Popular Power in 2010, including, most notably, the Organic Law of the Communes and the Organic Law of the Communal Economic System. December 19, 2014 — Links International Journal of Socialist Renewal — These words are aimed at those who want to build a humanist and solidarity-based society. A society based on the complete participation of all people. A society focused on a model of sustainable development that satisfies people’s genuine needs in a just manner, and not the artificial wants created by capitalism in its irrational drive to obtain more profits. A society that does all this while ensuring that humanity’s future in not put at risk. A society where the organized people are the ones who decide what and how to produce. A society we have referred to as Twenty-First Century Socialism, Good Living or Life in Plenitude. The question is how can we achieve this complete participation? How can we guarantee as much as possible that all citizens, and not just activists or leftists, take an interest in participation? How can we achieve the participation of middle class sectors alongside popular sectors? How can we ensure that solidarian interests prevail over selfish ones? How can we attend to the concerns of the poorest and most forgotten and repay the social debt inherited by previous governments? I am convinced that it is through what we have called “decentralized participatory planning” that we can achieve these objectives. We have reached this conclusion not on the basis of reading books and academic debates, but through the study of practical experiences of participatory budgets and participatory planning, primarily in Brazil, Venezuela and the Indian state of Kerala. We were very attracted to the experience of participatory budgeting undertaken by the regional Workers’ Party government in Porto Alegre, Brazil, because we saw it as a new, transparent, rather than corrupt, way of governing, that delegated power to the people. In Venezuela, we got a strong sense of how the popular subject was strengthened through the initiative taken by Chávez to promote the creation of communal councils and his decision to grant them resources for small projects. This was not done in a populist manner, with the state coming in to satisfy the community’s demand; rather it occurred after a process of participatory planning where the citizens of the community implemented what he called “the communal cycle”, which involved the following actions: diagnosis, elaboration of a plan and budget, execution of the project, and control over how it was carried out. Lastly, our work was been greatly enhanced by what we learnt from one of the first experiences in the world of “decentralized participatory planning” that occurred in the Indian state of Kerala. There, a communist government decided to carry out an important process of decentralization, not only of monetary resources, but also material and human resources, to aid with the implementation of local development plans that were based on the active participation of local residents. The end result of this has been a more egalitarian economic development when compared to the rest of India, and a growth in resident’s self-esteem and self-confidence. This type of decentralization allowed for greater local government autonomy when it came to planning their development, which facilitated the progress of a much more effective participatory planning. The type of planning we advocate is the antithesis of the centralized planning implemented under the Soviet Union. In the old USSR, it was thought that to coordinate all efforts towards building a new society, a central authority was required to decide objectives and means. It was a process in which decisions were always made from above, on many occasions without taking into consideration that down below was where people best knew the problems and possible solutions. Similarly, often processes that claim to be participatory limit themselves to being processes of simple consultation. Rather than promoting a process of decision-making by citizens, local politicians limit themselves to consulting citizens. The people in the local area are called upon to participate in working groups where they are asked to point out their main priorities for public works and services for their respective communities. A technical team collects these and it is the technicians and not the people who decided upon which projects to implement. We don’t deny that a willingness to listen to people represents a step forward, but it is very limited. We advocate a more integral process in which it is the people who genuinely discuss and decide upon their priorities, elaborate, where possible, their own projects and carry them out if they are in the condition to do so without having to depend on superior levels. We seek to fully involve citizens in the planning process, which is why we refer to it as participatory planning. To achieve complete citizen’s participation we must take the plans of small localities as our starting point, where conditions are more favorable for peoples’ participation, and apply the principle that everything that can be done at a lower level should be decentralized to this level, and only keeping as competencies of higher up levels those tasks that cannot be carried out at a lower level. This principle is referred to as subsidiarity. Venezuela’s president Nicolas Maduro with Marta Harnecker at the award ceremony. August 24, 2014 – I completed this book one month after the physical disappearance of President Hugo Chávez, without whose intervention in Latin America this book could not have been written. Many of the ideas I raise in it are related in one way or another to the Bolivarian leader, to his ideas and actions, within Venezuela and at the regional and global level. Nobody can deny that there is a huge difference between the Latin America that Chávez inherited and the Latin America he has left for us today. To Commandante Chavez, whose words, orientations and exemplary dedication to the cause of the poor will serve as a compass for his people and all the people of the world. It will be the best shield to defend ourselves from those that seek to destroy this marvellous work that he began to build. When Chávez won the 1998 presidential elections, the neoliberal capitalist model was already foundering. The choice then was whether to re-establish this model, undoubtedly with some changes such as greater concern for social issues, but still motivated by the same logic of profit-seeking, or to go ahead and try to build another model. Chávez had the courage to take the second path and decided to call it “socialism”, in spite of its negative connotations. He called it “21st century socialism,” to differentiate it from the Soviet-style socialism that had been implemented in the 20th century. This was not about “falling into the errors of the past”, into the same “Stalinist deviations” which bureaucratised the party and ended up eliminating popular participation. The need for peoples’ participation was one of his obsessions and was the feature that distinguished his proposals from other socialist projects in which the state resolved all the problems and the people received benefits as if they were gifts. He was convinced that socialism could not be decreed from above, that it had to be built with the people. And he also understood that protagonistic participation is what allows people to grow and achieve self-confidence, that is, to develop themselves as human beings. Without the participation of local forces, without an organization from below of the peasants and workers themselves, it is impossible to build a new life. It seemed that the soviets were going to fulfil precisely this function of creating an organization from below. But Russia has already become a Soviet Republic in name only. The party’s influence over people … has already destroyed the influence and constructive energy of this promising institution – the soviets. That is why very early on I believed it necessary to distinguish between the socialist project and a model. I understood project to mean the original ideas of Marx and Engels, and model to refer to one form that this project has historically taken. If we analysis Soviet-style socialism, we see that in those countries that implemented this model of socialism, one that Michael Lebowitz has recently called the socialism of conductors and conducted based on a vanguardist mode of production, the people were no longer the protagonist, organs of popular participation were transformed into purely formal entities, and the party was transformed into an absolute authority, the sole depositary of truth that controlled all activities: economic, political, cultural. That is, what should have been a popular democracy was transformed into a dictatorship of the party. This model of socialism, that many have called “real socialism” is a fundamentally statist, centralist, bureaucratic model, where the key missing factor is popular participation. Something remarkable has taken place in Latin America in the new millennium. For the first time since the Sandinista revolution in Nicaragua, radical left governments have come to power in Venezuela, Bolivia, and Ecuador, raising the banner of socialism. The decline of the US empire, the eruption of anti-neoliberal social movements, and the growing integration of the region on its own terms have created a space for the rejuvenation of socialism after the dramatic setbacks of the last century. Cuba is part of this transformative process as its leadership moves to update the country’s economy while the Cuban people experience new freedoms. In what follows, the theoretical debates and the praxis of socialism in the twenty-first-century socialism will be explored. The intent is not to provide a singular theory of the new socialism, but to put forth some of the interpretations of the contemporary struggles that are taking place in Latin America. 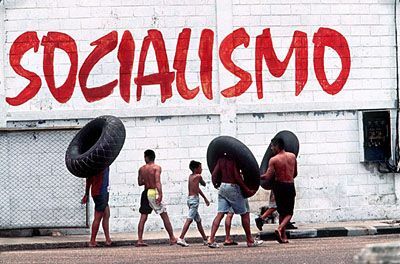 The Brazilian political scientist Emir Sader, in The New Mole: Paths of the Latin American Left, argues that the setback for socialism in the 20th century was so severe that it is still recuperating to this day. Socialism can be part of the agenda, but the priority must be on forming governments and political coalitions to dismantle neoliberalism, even if that means accepting the broader capitalist system for the time being. (4) This in part explains why the construction of socialism in the coming years and decades will be a diverse process – differing widely from country to country. There is no single definition or model–we are indeed witnessing, two, three, many transitions to socialism.. The origins of twenty-first century socialism are found in the wave of social movements led by peasants and indigenous organizations that swept the rural areas of Latin America as state socialism was collapsing. By the mid-1990s they had assumed the lead in challenging the neoliberal order, particularly in Ecuador, Mexico, Bolivia, and Brazil. These new organizations were generally more democratic and participatory than the class-based organizations that traditional Marxist political parties had set up in rural areas in previous decades. In general, they came to fill the gap left by a working class that was fragmented, disoriented, and dispersed due to the assault of neo-liberalism. With a broad range of interests and demands, including indigenous and environmental rights, these new social movements transcended the modernist meta-narratives of both capitalism and traditional socialism. March 2014 — Monthly Review — It is now one year since the unfortunate death of Hugo Chávez on March 5, 2013. Shortly after, the editors of Monthly Review quoted a letter from István Mészáros to John Bellamy Foster which described Chávez as “one of the greatest historical figures of our time” and “a deeply insightful revolutionary intellect” (“Notes from the Editors” in the May 2013 Monthly Review). Whether Chávez will be remembered over time this way, however, depends significantly on whether we build upon the foundations he began. As important as his vision and his deep understanding of the necessary path (so clearly demonstrated by his focus upon communal councils as the basis of a new socialist state—“the most vital revolutionary achievement in these years,” as the editors indicated) was Chávez’s ability to communicate both vision and theory in a clear and simple way to the masses. As demonstrated by Chávez’s articulation of the concept of “the elementary triangle of socialism,” that is what revolutionaries must learn to do. 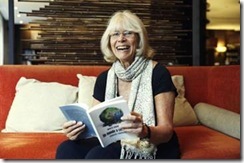 Following Marta Harnecker’s long interview with Chávez (later published as Understanding the Venezuelan Revolution by Monthly Review Press), he asked her to come to Venezuela in 2003 to serve as his advisor and explained that he wanted someone around him who would not hesitate to criticize him. And that’s how we ended up in Venezuela. At the beginning of 2004, I became an adviser to the Minister of the Social Economy and, during that year, Marta and I became convinced that it would be important to create a center which could bring together foreign advisors who supported the Bolivarian Revolution. 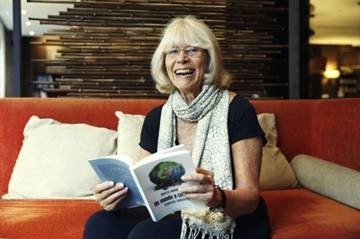 Accordingly, she proposed to Chávez that an institute be established for this purpose; he agreed, and, after we assembled people and found a home for the Institute (ultimately in the Ministry of Higher Education), the Centro Internacional Miranda (CIM) was formed in early 2006. Everyone understands that it is impossible to achieve the vision of socialism for the twenty-first century in one giant leap forward. It is not simply a matter of changing property ownership. This is the easiest part of building the new world. Far more difficult is changing productive relations, social relations in general, and attitudes and ideas.